You must have heard attacks on Automated Teller Machines, the ATM machines. It is considered to be a classic target by hackers as well as thieves, as it is the only cloverleaf between cybercrime and physical theft. ATMs don’t follow precautions to avoid cybercrimes as there is minimum authentication required to access any account. That’s why the interest of hackers in stealing money from ATMs has increased. In this post, we will talk about the different methods used by hackers to hack ATMs along with some preventions and precautions techniques for businesses and individuals. In this attack, hackers take control of ATMs servers to dispense cash using malware. In this attack, physical devices are placed in card slots to capture information of the cards swiped. In this attack, a hacker needs to have physical access to an ATM to dispose of malware. 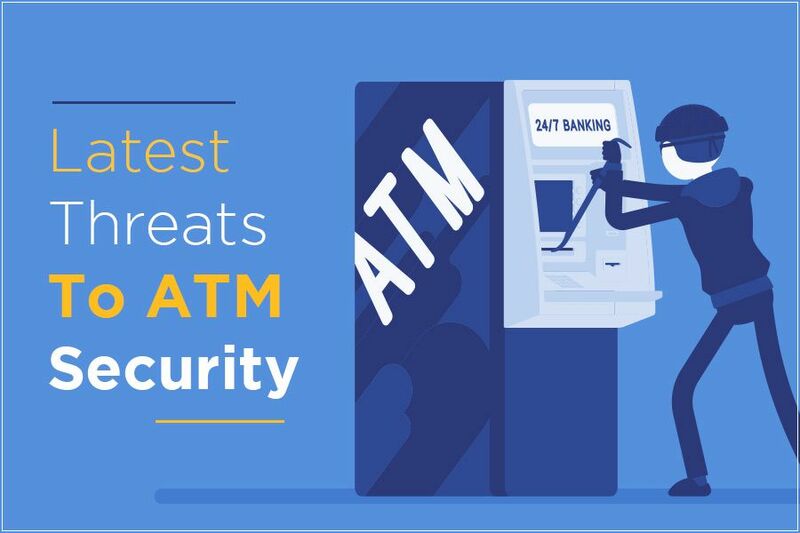 There were two influential threats introduced to ATM security in 2018. Jackpotting and Shimming. The former is a challenge due to its potency, speed and anonymity of hackers and the latter is just a simple trick used to steal information from cards with chip-enabled on it. Let’s discuss it in detail. Criminals have been using various new methods to outwit ATMs and making them dispense a huge amount of cash however new method of it surfaced in Europe in 2016 and it has been linked to most of the attacks in 2018. The method involves casting a hole beside the PIN pad and inserting a cable to connect a laptop and controlling ATM to get the money. This attack was employed easily as it requires least encryption and authentication in many ATMs. This attack is quite dangerous as it can give full control of ATM to hackers in a few minutes and empty the ATM within the next few. The attack can’t be easily pulled off in countries with responsive police forces, but the speed of the method makes it worth a try. This attack has no direct effect on customers, but it disturbs the dynamics of financial institutions. Also Read : How To Invest In Security Smartly? Skimming is pulled off when burglars insert a device in ATM’s card reader to steal information of the swiped cards. The hackers can steal information from cards with chip-enabled in ATMs. The attack is expensive than Jackpotting as tech has to be involved during the attack> However, it is dangerous too, the criminals just need access to ATM for a few minutes and it can’t be detected if disposed of. You can spot it if you feel the card is not easily getting inserted. When a card is compromised, the attackers can make a duplicate of the card swiped and use it to swipe other machines. How Manufacturers Can Protect ATMs? Better physical security as the malware attacks also start with physical access to the ATM. However, it can be challenging to provide that in developing and remote areas. ATMs should be built in the way that they could be closed when any kind of tampering is noticed. There is another challenge in doing so, as businesses can’t be sure of a real heist or fake one. The false attack could cause inconvenience. ATM companies should use encryption within the machine’s software. Also, more authentication requirements should be introduced. Make whitelists of processes allowed in order to generate alerts automatically when unauthorized processes just to access. These could be significant changes can be done to make improvement in ATM security. Some of the ATM are still stuck to Windows XP, others have Windows 7, however, most of them will be upgrading to Windows 10 soon. The older OS are also considered as vulnerabilities. Some of the ATM businesses are working to develop their own ATM software, this could take some time. Meantime, we as consumers have to work through the authentication process and other steps to avoid any hacking attack on ATMs. How User Can Protect Themselves? These are not the only ways used by hackers to hack ATMs, there are a lot of other and to avoid them altogether, a user needs to use smart payment methods and other tap payments. They are more secure compared to ATM ones and harder to duplicate as well. While using an ATM machine, always prefer machine placed inside a bank or the one which is lit and is in busy areas. It will have less probability for a thief to intrude. If you want to make sure that the ATM you are using is working fine, you need to check for anything out of order. You can look for red flags such as scratch marks on the machine’s surface, dislocated keypad, and the unusual friction while inserting card. So, these are the attacks involving ATMs that become prominent along with the ways businesses and consumers can protect themselves from getting victimized. ← How To Spot Suspicious Links On The Internet?